A very talented all-rounder. Lots of useful technology. Huge performance even from hybrid versions. After-thought middle rear seat. Boot space not huge. No diesel choice presently. The Porsche Panamera covers an expansive brief already, aiming to be both a luxury and sports car. And it does a fairly convincing job of it. In 2017 Porsche added even more breadth to that, by adding the Sport Turismo. 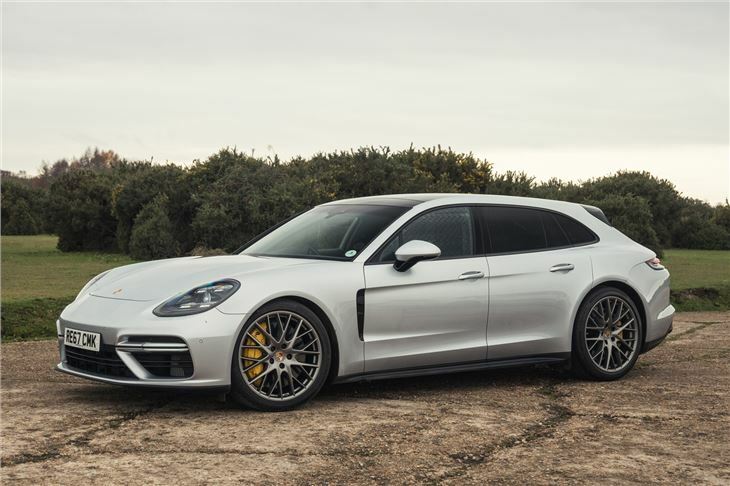 In doing so it has created a Panamera estate, or, in reality more of a shooting brake, as you’re not about to fit a Chesterfield or chest of drawers in the back. By definition though it’s an estate, that much is obvious thanks to the longer roofline and more upright rear hatchback. That tailgate cuts deeper into the bumper line than the conventional Panamera, too, which is all the better for your mutt to leap into. 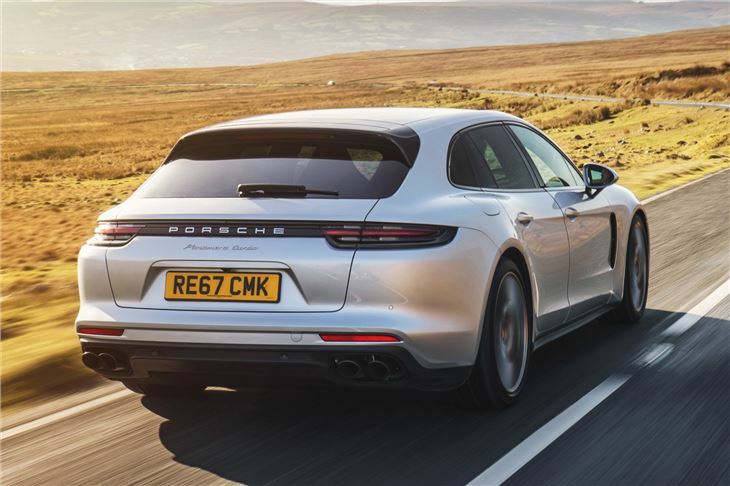 It would be best if that canine were on the smaller side, as the Sport Turismo’s boot only gains 25 litres of space over the standard Panamera with the rear seats in position, and 127 litres with them down, though practicalities aside, this is as much about looks as anything else. 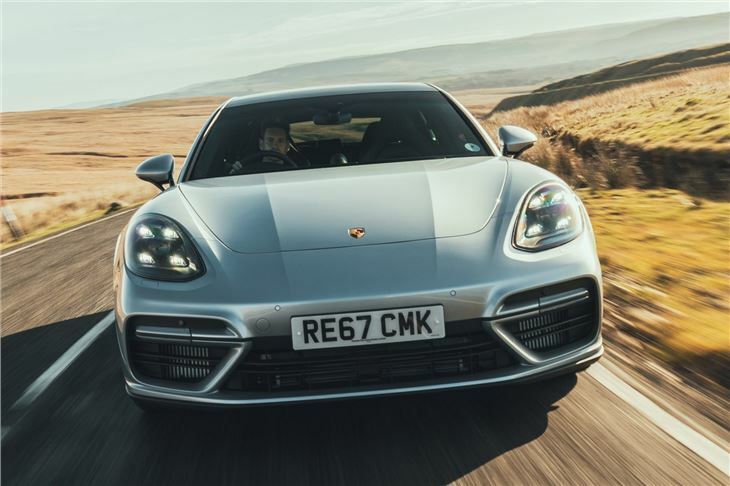 It has taken a while for the Panamera’s style to work, but in this second-generation model they’ve matured to acceptability and even appealing levels. And no more so than in Sport Turismo guise. It has few rivals, aside from the Mercedes-Benz CLS Shooting Brake, and stands out as a result. The range, unsurprisingly, closely follows that of its conventional hatchback relation with a few omissions. 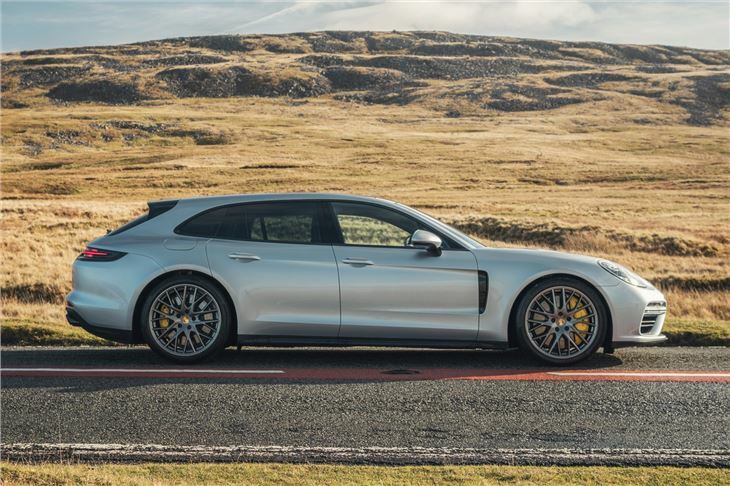 Sport Turismo buyers aren’t offered the base, rear-wheel drive Panamera, instead it starts as a Panamera 4. There’s no Executive long-wheelbase version either, which is a shame, as that’d give the practicality a bit of a boost. 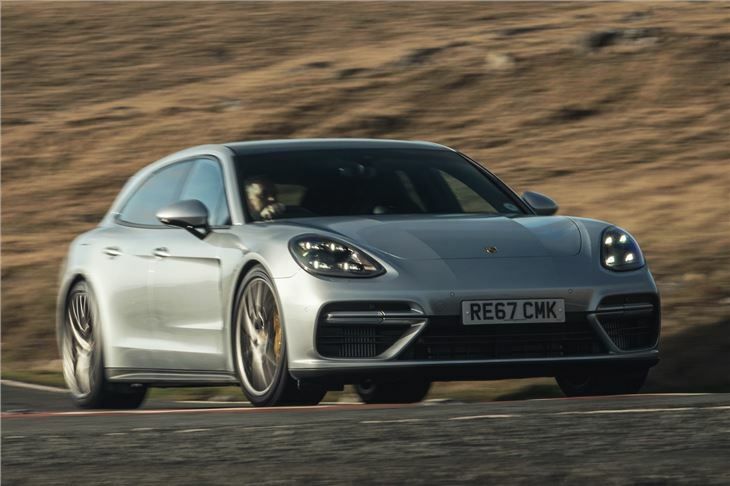 The entry-level Panamera 4 Sport Turismo comes with a 3.0-litre turbocharged V6 petrol engine, enough for 330PS and the same 5.5 second 0-62mph time of the regular Panamera 4. Choose the 4S and the V6 drops to 2.9-litres in capacity, but gains an additional turbo 110PS for a 440PS output. Should those prove too tardy then the Panamera Sport Turismo Turbo adds Porsche’s turbocharged 4.0-litre V8 with 550PS and with it the ability to reach 62mph in just 3.8 seconds. Brisk, then. In addition to the conventional petrol models - and in lieu of a diesel offering - Porsche offers a pair of hybrid choices. You can have your plug-in E-Hybrid, mated to either the 2.9-litre V6 in the Panamera 4 E-Hybrid Sport Turismo, or the Turbo’s 4.0-litre V8. That battery and electric motor boosted Turbo S E-Hybrid Sport Turismo is like adding a bolt of lightning to the Turbo for a combined output of 680PS. 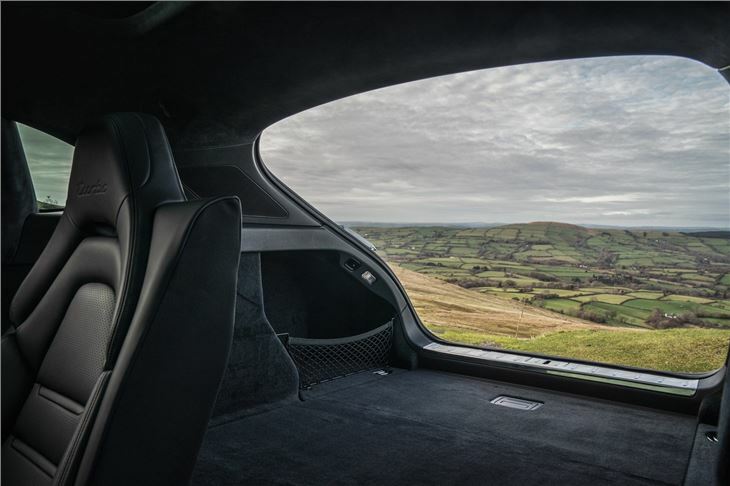 Both offer the opportunity to drive on electricity alone, though you’ll need a full charge and a relatively short route, if you want a genuinely clear conscience on your commute to the city. 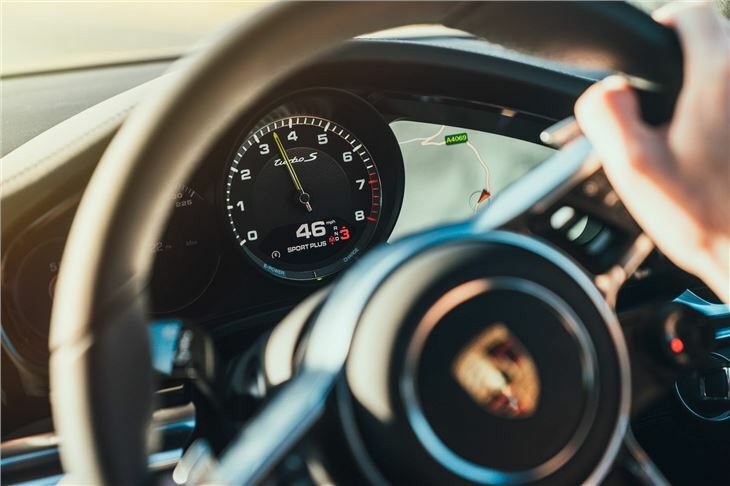 All are eight-speed PDK automatics and in line with the sports car brief they all do a fine job of engaging enthusiastic drivers. That it’s an accomplished GT car adds to its breadth. It might be more singular in purpose than most luxury car rivals, but neither is it overly compromised because of that.